Hi everyone! How was your weekend? Ours was good. I got to run in a 5K with my friend's daughter, do some yard work and watch my 4th grader play basketball on Saturday. Yesterday was busy, busy with church stuff, but it was a good day. I'm assuming that I'm not the only one that kind of had a rollercoaster week. 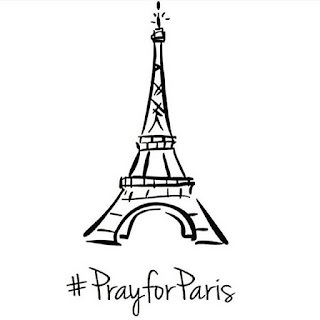 I've been stunned wth news of good friends struggling with terminal cancer, divorce, faith, and then the Paris attacks. I couldn't wait to get to go to the temple last week because I knew I'd come home with a renewed sense of peace and faith. It worked! I posted on instagram something that has helped me. I'm sensing a pattern with myself. I've found that after I go to the doctor and discuss my cholesterol levels, then I am really motivated to eat much, much better, but then I draw a GIANT blank when it's time to menu plan. And sometimes I end up eating things that I shouldn't because I can't think of what I should eat. Last week I ate pretty much the same thing all week for lunch and dinner. My husband was out of town for travel for some of the week and my kiddos were happy when I made them what they requested for dinner just as long as it was easy. I had leftover spaghetti squash with spaghetti sauce for lunch and then corn tortillas topped with roasted sweet potatoes, black beans, avocado and fresh tomatoes (that I picked green from my garden that have been ripening in my basement). It was all yummy, but I struggle with the monatony of eating the same thing every day and finding something that I know is super healthy and is pretty much vegan. I need to find some vegan/low-cholesterol recipe blogs to follow, I guess. Any suggestions? I've found that I eat much, much better when I'm prepared. Today I pulled out some of my dried apple slices so I have something to munch on when I'm tempted to grab a fudgy brownie bite that my daughter made yesterday. My lunches are much better when I already have roasted sweet potatoes and cooked quinoa in the fridge. Then I usually just eat that with some avocado and tomato or peppers, sometimes in a corn tortilla or sometimes not. I'm going to try planning lunch ideas into my weekly menu plan. I probably only need one or two ideas so I can eat it all week. All righty...What's on your menu this week? I'd love to hear what you're making. Have a great week!